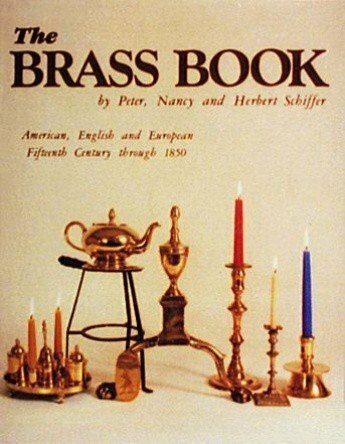 This is the definitive book about brass objects. Large sections are devoted to andirons, candlesticks, fireplace accessories, kettles and tobacco boxes. There are useful dating charts for andirons and candlesticks. Each of these sections is more complete than any previous volume, and could have been published as a separate book. Smaller sections include horse brasses, scientific and occupational instruments, and table wares.The development of artistic styles in brass are fully illustrated and explained in their historical context. The accompanying text explains the composition of brass, eighteenth century method of sand casting, and ways to identify old copies and fakes. 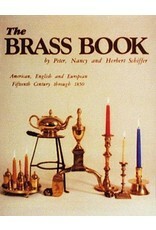 A fascinating eighteenth century brass-makers catalog is reproduced in its entirety at the end of the book. Unusual brass items from many private collections, museums and antiques dealers are presented and compared. Very few of these items have ever been published before.